Delaware County Juvenile and Probate Court Judge David A. Hejmanowski was recently appointed to serve on the Governor’s Council on Juvenile Justice. The appointment was announced by Governor John R. Kasich last Friday. 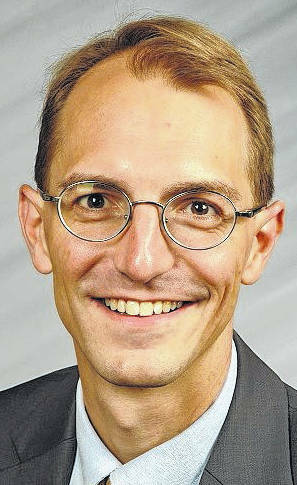 Hejmanowski said the position is an advisory council from a policy-making standpoint for the governor’s office. According to the governor’s office, the council shall exercise leadership in improving quality of the juvenile justice system in the state, advise the department of Youth Services on the overall needs and accomplishments of juvenile justice in the state, advise the governor’s office, and review and maintain general oversight of the state juvenile justice plan. In addition, Hejmanowski said the committee has the responsibility of providing feedback to DYS and to the governor’s office about DYS programming, DYS grant-making and the operation of juvenile prisons. Before becoming a juvenile court judge, Hejmanowski served as a court magistrate for 12 years, including nine years as the court administrator, and he worked as a prosecutor for four years before that. Hejmanowski said those experiences have given him a wide variety of experiences and knowledge that he can bring to the council. Hejmanowski said the commission meets four times a year and said his first meeting will be on March 9. Hejmanowski’s term runs from Dec. 7, 2017 to Oct. 31, 2018.